environment that welcomes individuals, families and households of all shapes and sizes. 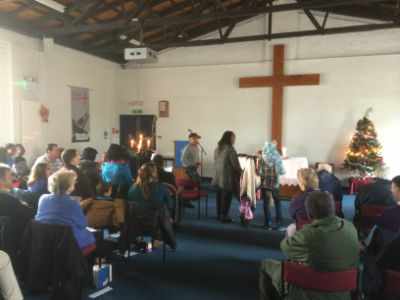 We do this through the use of inclusive language and by focusing our services on the spiritual and practical needs of our congregation, our wider Greenwich community and the world at large. We have participated in services that focus on the work of Christian Aid; our local Beavers, Cubs and Scouts; the Trussell Trust food bank network; and the United Reformed Church's Commitment for Life programme. There is significant lay participation in worship with congregational members conducting services, preaching, reading the Bible, playing the piano and making announcements as needed. The Hymn books that we use are Rejoice and Sing, Hymns of Glory Songs of Praise, as well as projection equipment. Support for the minister in the conduct of services has, in the past, been helped by local preachers from the URC and the Methodist Circuit as well as from the congregation. Following Sunday morning worship there is time of fellowship that often includes the celebrations of birthdays or anniversaries of congregation members. Occasionally light lunches are served as the congregation gathers for special events.